The post Tips to enhance your experience with the Block Editor appeared first on Yoast. Today’s roundup is all about various upcoming updates across the WordPress ecosphere. From WordPress itself to Gutenberg, PHP, and WooCommerce. Let’s get started! More information about what this means for you, why you should want to upgrade anyway, and how to prepare can be found in the rest of the post. I highly encourage you to read it. WooCommerce, the most popular e-commerce solution for WordPress, has shared some interesting news about a new feature. They’re going to completely overhaul the WooCommerce dashboard. It will give store owners a quick overview of how their store is performing and the ability to customize the dashboard to their needs. Store owners can view charted data directly from the Dashboard via 14 different data points, and select any chart to load an associated report for deeper analysis. WooCommerce is bundling this new dashboard in a feature plugin which you can download for testing. Read all about it in their announcement post. Foundational work and initial UI explorations to implement the block-based widgets screen are on-going. In the meantime, the contributors worked on a number of bug fixes and improvements. All the bug-fixes will be included in the next beta of WordPress 5.2. Meaning, even though the features added up until Gutenberg 5.3 will be added to WordPress 5.2, bug-fixes found to those features are still being included to the betas. If you’d like to read more about how Gutenberg 5.4 now supports vertical alignment for the columns block – and more – you can do so here. The post PHP requirement for WordPress, WooCommerce dashboard and Gutenberg 5.4 appeared first on Yoast. The generic “Custom Fields” feature in WordPress is really useful for adding meta data to posts such as redirect URLs or custom feature flags. “Custom Fields” metabox in WordPress. However, this metabox wasn’t updated for Gutenberg and has to be manually enabled in the block editor options under “Advanced Panels”. Click on the block editor settings (three dots) in the top-right corner of the page and select “Options”. Select “Custom Fields” in the “Advanced Panels” section. The “Custom Fields” metabox is now available under the block editor area. How to enable Custom Fields in Gutenberg block editor. I’ve been wanting to create a short demo video for my Storage for Contact Form 7 plugin in hopes that it would increase sales by engaging users that don’t enjoy reading long sales pages. Last week I finally got to record the video and it is available on YouTube. Instead of writing a script I just did multiple takes while the contents and narrative become clear. English is not my first language so there are still some weird things being said, however, it felt good enough for the experiment and also brings some authenticity to it. Demo video of Contact Form 7 Storage plugin. I’ve been creating videos on YouTube about electric skateboards and electronics but this was one of the first times doing a screencast. I’ve played around with the Open Broadcaster Software (which seems to be used by the majority of streamers) but it requires a bit of setup so I went with Screenflick — a paid closed-source software but with regular updates. It also takes care of hiding all desktop icons and changing the desktop background to a solid color. Very nice to work with! Very few products on Evanto have video previews so I’m not entirely sure if the experiment will be any success. Both my storage and controls & analytics add-ons for Contact Form 7 cover a lot of pain points for the Contact Form 7 plugin users so I want to create a library of short videos about the most typical issues and problems that users have. Hopefully those would become the gateway for people to discover my products. Something that Ryan Daniel Moran calls a multiplier. What is your experience with video walkthroughs and tutorials for digital products? Is there a chance for this to succeed? The post How To Fix ‘The Link You Followed Has Expired’ Error In WordPress is written by Editorial Staff and appeared first on WPKube. WordPress 5.2 is due out at the end of April, and wit that release the minimum recommended version of PHP will be PHP 5.6. Also keep in mind, this doesn’t change our policy on PHP versioning, which is to say we still do not have an official version requirement for PHP in your plugins. If you want to support 5.6 forever, feel free. If you want to require 7.1 and up, again, go for it. And remember the goal for your plugin is “Don’t break things for users.” Stop them from getting fatal errors, and don’t run your plugin if you know it can’t work. Today’s roundup highlights some useful WordPress plugins. They’re either new, or have recently been updated with interesting features. From A/B testing to profiling and more… And of course, I have some bonus links for you as well! Testing between two versions, to see which one works best, is called A/B testing. You can A/B test many things, like your newsletter or your website. There are plenty of ways to do A/B tests on your website, but here, I’d like to highlight a new one. Gaya Kessler developed a sweet little WordPress plugin called A/B Testing for WordPress. This plugin allows you to create two variants right inside Gutenberg. The plugin works while keeping SEO in mind, which means it doesn’t do anything that affects your SEO. It simply works like most A/B testing tools out there, but directly from your own WordPress site. Without the use of third-party services. You can find it here on WordPress.org. Laps is a plugin that shows performance information about WordPress page load. It provides a visual summary in a toolbar that is quick and easy to inspect. Laps and John Blackbourn’s Query Monitor have always been my two favorite plugins in my quest to make WordPress sites performant and faster. Check out Andrey’s plugin over at Github. Query Monitor isn’t the only useful resource John Blackbourn has shared with us, by the way. This is an older resource, but if you haven’t heard of it before: you’ll love it. John has listed every single type of email WordPress sends out and how to filter them. Jonathan Wold shares an interesting view on where the next opportunities lie in the WordPress ecosphere. He calls it ‘ecosystem plugins’. So, if you’re looking to build something with our favorite CMS tool, check out his post! Our friends at Google (hello Felix!) released a plugin for WordPress last week. It’s called Reporting API and it provides a storage mechanism and endpoint for browser reports according to the Reporting API spec in WordPress. Additionally, it provides an admin interface for browsing these reports. Lastly, it also provides an API for sending the Report-To response headers. You can learn more about it here. Have you tested WordPress 5.2 Beta 1 yet? WordPress updating its minimum PHP version to 5.6 is beginning to make waves. You can now create themes for the WordPress theme repository with PHP 5.6 as a minimum. Exciting times! The post Plugin tips for A/B testing, profiling and more! appeared first on Yoast. This is the original WordPress SEO article since 2008, fully updated for 2019! WordPress is one of the best content management systems when it comes to SEO. But even though it gets a lot right “out of the box”, there’s much more that you can do to improve your performance. Optimizing your site using the tactics and best practices outlined in this article will help you improve your rankings, gain more subscribers or sales, and have a better website in general. Because good SEO should be ingrained in all aspects of your online marketing and PR, this guide covers quite a lot of ground! It’s a long read, so feel free to use the table of contents below to jump around. Or, just download the PDF and get comfy on the couch! This article assumes that you’re using our Yoast SEO plugin, which adds significantly more features and SEO tools to WordPress. If you’re not already using it, you can set it up right away with our beginner’s guide to Yoast SEO. If you’re using another SEO plugin, like All in One SEO or Ultimate SEO, most of the principles will still apply. Of course, we’d prefer you to switch over and make use of our extremely powerful WordPress SEO plugin, which is why we’ve written a migration guide for you. It’s a really easy process! Out of the box, WordPress is a pretty well-optimized content management system. A basic setup can provide a strong foundation — even without extensive customization, theme optimization, and plugins. That said, there are a few things you should do to increase your chances of ranking, refine your workflow, and make sure your website is perfectly optimized. By putting the right basic settings in place, and applying a few simple techniques, you can ensure that you have a strong foundation to build upon! First things first. Before you make any changes to your site, it is a good idea to see where you are now. There’s a lot to gain from getting it right: running your site on a modern server with updated software, at a web host that offers great performance. So ask yourself: on what hardware and software is your site running? What is your hosting plan? Are you using a budget shared hosting provider or have you invested in a dedicated hosting plan at a well-known web host that fine-tuned its servers for use with WordPress? To get a sense of what is going on behind the scenes of your site, you can install the Health Check plugin. This plugin gives you loads of technical insights and helps you get information that outside parties can use to help you improve your site. Health Check is incredibly helpful — so much so, that the WordPress team is now going to include the plugin in the core WordPress environment. According to WordPress’ technical requirements page, the recommended hosting plan to run WordPress should include a modern version of PHP, MySQL or MariaDB, and HTTPS support. It is possible to work with older server software, but that is not recommended. If you’ve installed the Health Check plugin, you can see the technical details of your installation. In addition, if you open the dashboard of your hosting provider, you should be able to see what type of plan you are on. Remember, paying for good WordPress hosting pays dividends. Many WordPress sites still run on outdated versions of PHP. One look at the WordPress stats reveals that almost half of the sites still run on a PHP version in the 5 series, while PHP 7.0 and up has been available for more than three years. Backward compatibility is cool and all, but it’s holding back WordPress as a technology and site owners from getting the most out of their sites. These old versions of PHP don’t receive any more security fixes and are thus increasingly vulnerable to attacks. Luckily, the WordPress team has dropped support for anything older than PHP 5.6. In December 2019, that minimum supported version of PHP will be upped to PHP 7.0. After that, it will follow the release schedule of PHP more closely. PHP 7 offers an incredible speed boost. It runs a lot more efficient, meaning less stress on your server. Bring loads of modern development features. It’s a much safer and more secure environment. Now, this is something we all want, right? If you’ve checked your current hosting set-up in the previous section, you have an idea of what your site runs on now. If this shows outdated server software like PHP 5.5, it is a good idea to update this, if possible. However, take special care before doing so. Ask for help if you’re not sure what you are doing. Make a local staging environment based on a modern version of PHP. Install the backup of your site on that server. Test thoroughly to see if everything works properly. Upgrade your live site — most of the times, your hosting provider can do this for you. We have a post that shows you how to set up a test environment for your WordPress site. WordPress.org has a post on the advantages of updating your PHP version and what to take into consideration when doing that. Historically, adopting SSL (getting an HTTPS URL, and a green padlock icon in the browser URL bar) was an optional tactic. Many sites, arguably, didn’t need the extra level of security which SSL provides. Now, however, having a valid SSL certificate installed is mandatory — search engines may ‘penalize’ sites without valid SSL certificates and setups (and/or show warnings next to their search results). It’s also generally good practice for all websites to use SSL, to prevent hackers and third parties from intercepting requests and data. Additionally, many modern site speed and performance techniques require a valid SSL/HTTPS setup. To take advantage of new, faster web technologies like HTTP/2, browsers like Google Chrome and Firefox require the website to have a valid SSL certificate. If you want to move to SSL and ensure that your site is served correctly over HTTPS, we have a handy guide with tips & tricks for moving to HTTPS. It’s worth spending some time clicking through all of the sections in the WordPress Settings menu, as many of the options there can impact the SEO of your WordPress site. In particular, it’s worth double checking your Privacy settings, to make sure that you’re not accidentally preventing search engines from indexing your website. That’d definitely hurt your visibility! You should also make sure that your Writing and Reading settings are all set correctly, these control your default categories, and what should be displayed on your homepage. Don’t forget to give your site a strong tagline in Settings → General, too! Your permalink settings define what format your page and post URLs will take, which can have a big impact on SEO. So if yo u’re creating a new site, one of the first things you should do is change your permalink settings, which you can find in Settings → Permalinks. If you don’t change your settings from the default, all of your pages and posts will have URLs which look like example.com/?p=123. Whilst this is perfectly okay, it’s not particularly nice, and it might impact how users and search engines perceive the quality and relevance of your pages. Changing the permalink structure alters the components, ordering, and structure of your website’s URLs. It’s important to select the right structure when initially setting up your website, as changing it later can cause SEO issues. We usually recommend that people use a structure which creates URLs which look like example.com/post-name/, or example.com/category/post-name/, depending on how much importance they anticipate placing on the categorization of their content. For most WordPress sites, choosing either of these options will be perfectly suitable. To include the category, you can select “Custom Structure” and change the value to /%category%/%postname%/. If you previously had ?p=<postid> as your permalink, WordPress will take care of all the redirects for you. This is also true if you change from /%postname%/ to /%category%/%postname%/. If you have an established site and change from any other permalink structure, you might want to consult our article on changing your WordPress permalink structure and the tool that you’ll find within it. From an SEO perspective, there’s little difference either way. Additionally, most hosting and server setups will automatically redirect requests for the ‘wrong’ version, to the version you’ve selected. That makes this primarily a branding consideration — which approach feels best for your site? From a technical perspective, there’s not a huge amount of difference, either. Some setups might have some minor headaches if they omit the ‘www’ component, but these are increasingly rare. Your site should provide the best content on your chosen subject — period. People are looking for engaging, authoritative articles and trustworthy answers to their questions. Writing high-quality content for your WordPress site begins with your own unique ideas or distinctive take on a particular topic. But it also means presenting these ideas in a well-structured and accessible manner. Together, this will help you attract the audience you’re looking for and keep them engaged. Before writing your content, you should think about what search terms you want to be found for. Every page or post should be optimized for a specific keyphrase. But how can you determine what keyphrase you want to be found for? To find out, you need to do keyword research. In this process, you should ask yourself questions such as: what terms do I want to rank for? How realistic is that I can rank for these terms? Imagine you have a baking blog and you’re passionate about sharing your favorite recipes and baking techniques. Optimizing a post for a term such as [best cake recipe] isn’t such a realistic goal, because it’s a very general term. There’s a lot of competition for such general terms. Instead, you should think about finding your own niche. This niche could be [healthy, low-sugar cake recipes] or [French patisserie you can make at home]. Within a niche, you can become a true expert. Your expertise can enable you to create content that goes beyond that of your competitors. You can go deeper than others, or shed light on different angles of the same topic. For this, you’ll want to focus on long tail keyphrases. A long tail keyphrase might be [how to make a low-calorie vegan blueberry cheesecake]. A keyphrase like this is more specific, and therefore easier to rank for. Also, it’ll be more suitable for your specific niche topic. It’s also important to think about what your audience actually wants to achieve by searching for a specific term. This is called search intent. For example, they could be looking for the answer to a specific question and you are able to provide the necessary information. Or they might want to buy a specific product that you can offer them. Think about the needs of your visitors and address them by creating content accordingly. Need a hand doing keyword research properly? Our Keyword research training can help. After you’ve done your keyword research and you know the topics you want to write about, you need to get to the actual writing. Most of the time that’s easier said than done. To get from an idea to a great piece of content, most likely you’ll have to follow a cycle of drafting, writing, editing, and rewriting. Your first draft can just be an outline of your structure. You don’t have to write out everything in perfect prose at this point, but make sure that you follow a logical structure. For most pieces, that will include an introduction, your main points of argument, and a conclusion. Of course, this will vary per genre – a recipe will have a completely different structure. You can flesh out the points further in the writing phase, where you try to come up with a first complete version of your text. Finally, in the editing phase, you should check whether your piece is engaging and easy to read. You might be an expert on your topic, but your audience probably isn’t (yet). So try to make your writing as accessible as possible. When in doubt, it’s always best to ask a friend or colleague for some feedback. Another good trick is to read your text out loud to yourself. You can even let your computer speak it. It will give you a better idea of whether everything flows nicely. When writing or editing your post, there are a number of elements you need to pay special attention to in order to make it SEO-friendly. These elements include your subheadings, your title, and your meta description. All of these need to reflect the topic of the specific post. Don’t forget, SEO-friendly doesn’t just mean that it’s easy for a search engine to grasp the topic of a page. More importantly, it means that your visitors can get the gist of your page at a single glance. Your meta description and your title might be a deciding factor for whether visitors click on your page in the search results in the first place. And once they’ve visited your site, elements like subheadings can be critical for visitors to decide whether they want to stay on your site. One important rule is not to use a focus keyphrase on more than one page. Otherwise, you might end up cannibalizing yourself. Most of the time, you don’t want to rank for multiple pages on the same keyphrase, because it means that you’re setting yourself up as your own competition. It’s also important to include the focus keyphrase in crucial elements of your post such as the title, the introduction, your subheadings, and your meta description. All of these elements are crucial signals for what your post is about. Since your focus keyphrase is, in fact, the main topic of your page, it’s a logical consequence that you should make sure this topic is reflected in all of these elements. The same logic holds true for your text overall: you need to make sure that you don’t stray off-topic; if you stay on-topic, it should follow naturally that you use your keyphrase multiple times throughout your text. But avoid stuffing your text with your keyphrase just for the sake of it. If you find it hard to include your keyphrase in your text a sufficient number of times, it might be a sign that you should take a different approach to the topic. To avoid repetition, you can use synonyms. Synonyms are words that mean exactly the same or more or less the same as your keyphrase. An example of this are the words film and movie. Search engines will recognize that they have the same meaning, which you can also check by having a look at the search results: if you search for movie, film will also be highlighted in the results, and vice versa. You can also make use of related keyphrases to optimize a single page for similar, related terms. You can use these to give context to your keyphrase. For example, if your keyphrase is [pumpkin soup] your related keyphrase might be [winter weeknight dinners]. This second, broader term gives additional information about your topic. It can also create coherence by establishing a link to similar pages on your post. 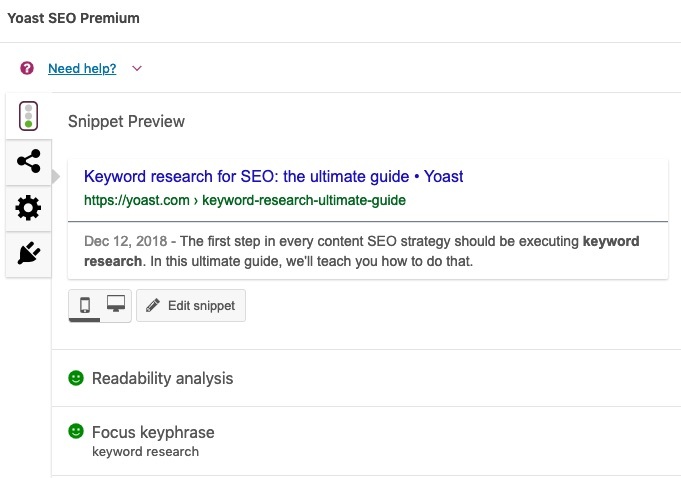 The Yoast SEO Premium analysis makes it easier to optimize your post thanks to word forms, synonyms, and related keyphrases. In most cases, your post’s URL should probably contain your focus keyphrase, so that it’s obvious what your page is about from the link. That said, you should always try and keep your permalinks short, descriptive, and clean — don’t put unnecessary words in for the sake of it! Before you publish new posts or pages, you may also wish to consider removing ‘stopwords’ from your permalink. These are words like “a”, “and”, and “the”. When done carefully, this may make your permalinks more readable, and easier to use or link to. Posts with especially long titles may benefit from this approach. For posts which have already been published, we’d recommend being careful when changing permalinks. If people have already linked to your pages, changing the URLs may make a mess. Even though WordPress will sometimes redirect users to the new location (the redirects manager in Yoast SEO Premium handles this automatically, and more reliably), changing URLs can impact performance. Each page’s title — the contents of the HTML <title> tag — can be one of the most important factors for ranking well in search results. Not only is it the literal title of the tab or browser window, but it’s also the first line people see in the search results. It describes what your page is, or is about, and acts as an advert which encourages users to click. 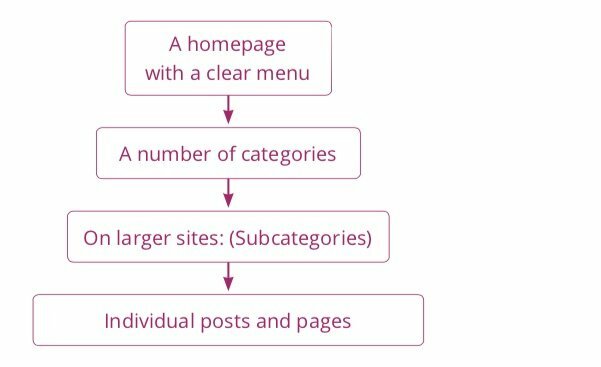 On many websites, the default structure for posts and pages isn’t necessarily the most optimal approach for SEO. A title like “My blog » Cooking » Carbonara recipe” isn’t as compelling or effective as “My 20-minute delicious carbonara recipe | My Blog”. Search engines may put more weight on the early words — so trying to get your keywords near the start of the title might make you more likely to rank well. 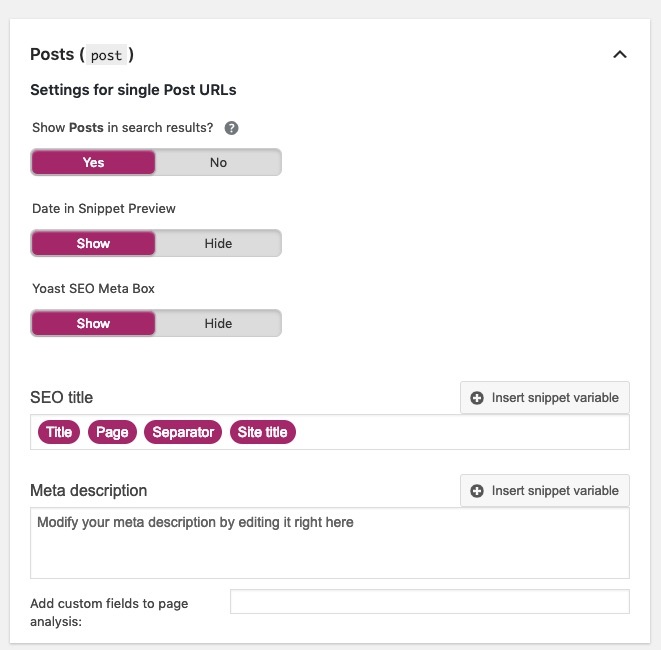 The Snippet Preview in Yoast SEO gives you an idea of how your post will look in search engines. Use it to make your content stand out! For more info on how to create enticing titles for your posts, read our article on crafting good titles for SEO. Did you know? 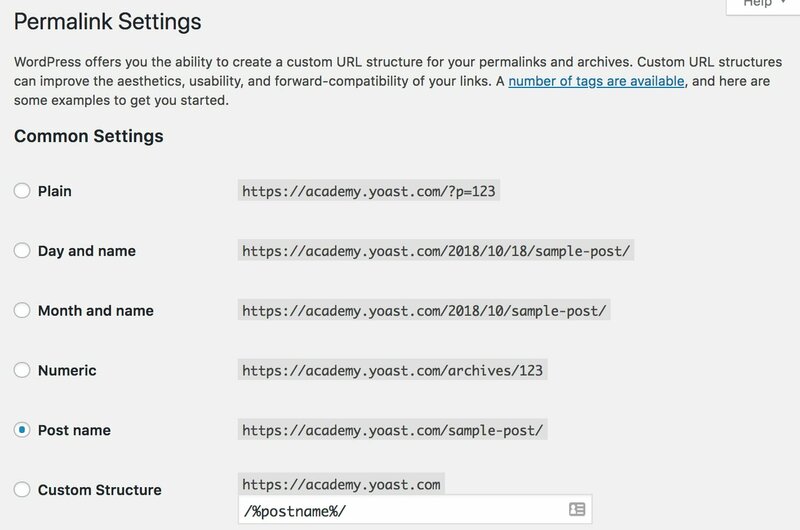 You can use Yoast SEO to structure your titles! You can control the default structure of your page titles and descriptions in your Yoast SEO plugin. There are two parts of the plugin that control these. First of all, as soon as you install and activate the plugin, you get an ‘SEO’ section in your WordPress admin. Navigate to SEO → Search Appearance and you’ll see a bunch of tabs for different types of pages on your site. This allows you to use components and variables to control how your page titles should behave by default. Of course, these can be overridden on a page-by-page basis. For example, in the image above, you can see how we’re automatically grabbing elements like the title of the page, to stop us from having to manually write titles from scratch for every page. There are all sorts of variables you can use in the titles and meta description, and they’re all listed and explained in the help tab on the page. For advanced users, there are some additional cool features. For instance, you can use cf_<custom field name> to drop in any custom field — either from a post meta value or a user meta value. NOTE: When you use these templates, be sure to check that your title tags behave as expected when viewed on the site. If they don’t, you may have a problem with the way your theme is built, and you might need to check the “Force rewrite” checkbox in our options. You can also follow these instructions to modify your templates. Headings are great for structuring your content and helping readers process information in bite-sized chunks. They can also be helpful in describing a page’s layout and focus to search engines. WordPress transforms the headings you put in your content into their respective HTML tags (<h1>, <h2>, <h3> and so on). That makes it important to think about which type of headings you use, and in which order. Getting that wrong can make your content harder to understand. Although most themes for WordPress get the basics right, it’s worth making sure that your template sets your post title is an <h1> tag, and that you’re not using <h1> tags anywhere else in your page or your post content. Your post content should then ‘flow’ naturally; for example, large, significant headings should use <h2> tags, subsections should use <h3> tags, and then subsequent new sections should use <h2>. To learn more about why proper headings are important, please read this article on headings and SEO. In addition, you can read our article about the heading structure for your blog — from which a lot applies to non-blog WordPress sites too. A meta description is primarily used search engines to show a description of your page in the search engine results, usually below your page title. Tailoring and writing a descriptive meta description can encourage users to click your results in the search engine, even if you’re not necessarily ranking in the top position. It’s an advert, and your opportunity to impress. Writing compelling, informative descriptions of your page content for every page on your site is best practice and gives you the opportunity to attract more visits. Whilst it might feel like a lot of work to craft descriptions for every single page and post, it’s worth the effort. Some themes and plugins try to produce descriptions automatically, by taking the first sentence or so of a post. This is a clever shortcut, but it rarely produces good descriptions. The first sentence of a post is often introductory information, which doesn’t provide a great summary or an enticing advert! The only well-written description is a handwritten one, and if you’re thinking of auto-generating the meta description, you might as well not do anything, and let the search engine pick and control the snippet. Auto-generating a snippet is a “shortcut”, and there are no real shortcuts in SEO! If you don’t provide a meta description, the search engine will generally try to find the keyword which was searched for in your page, and automatically pick a string around that — and highlight the searched phrase in bold in the results page. Automatically generated snippets (whether by plugins, or search engines) are rarely as descriptive or as compelling as hand-written ones. So, we recommend that you use the meta description field you find in the Yoast SEO plugin to write a meta description. Make sure it entices the reader to click through and make sure that it contains the focus keyword of your post or page at least once. NOTE: Search engines may choose to ignore your meta description if they think that it’s unsuitable for the page, or they might choose to show a custom description from the page content if they think it’s a better fit. There’s no way of forcing them to use your specific snippet. An often overlooked part of WordPress SEO is how you handle your images, videos, and media content. To make sure that search engines can understand your images, you need to think about how you name and format your files. Writing descriptive accessible text descriptions helps, too, and can improve your performance significantly. As an added benefit, you’re also helping out readers who rely on assistive technologies like screen readers. Using the proper alt attributes for images, and transcripts of videos are also something that we check in the content analysis functionality of our Yoast SEO plugin. We have a longer article on image SEO and one writing alt tags, which can give you more tips to fine-tune your image optimization! As Google strives to show its users the best and up to date information, you should keep track of your content and revise it regularly. Even more so, because you don’t want to show the visitors of your website outdated, redundant or incorrect information. If you publish regularly and have hundreds, or even thousands, of blog posts, this is easier said than done. That’s why we’d advise focusing on two specific areas when it comes to content maintenance: updating cornerstone content and preventing keyword cannibalization. Some pages on your site are more important than others. The most valuable content of your site is called cornerstone content. We’ve written extensively about cornerstone articles and how they can improve your rankings. get most organic traffic to your site. When you’re in doubt where to start with updating your site’s content, always give priority to your cornerstone content. Your business relies on them, and they should never go stale! Yoast SEO makes it a little easier to keep your cornerstones up to date at all times. 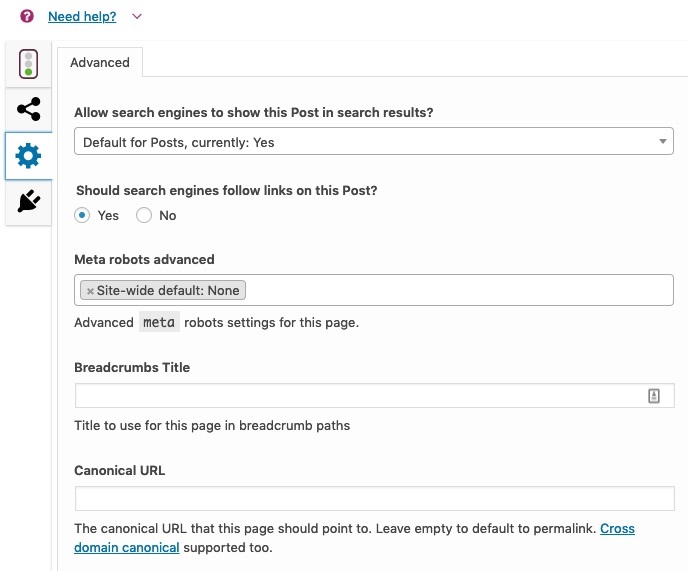 If you use Yoast SEO on your site, you can mark a post as a cornerstone article. Doing so, these articles will undergo a more rigorous SEO analysis. In addition, they’ll appear in a separate list in your post overview, which makes it easy to browse through them and check if they’re still up to scratch. If you’re on Yoast SEO premium, keeping track of them is even easier. The Stale cornerstone content filter only shows your cornerstone articles which haven’t been updated in the last 6 months. You’ll find this filter in your post overview. If it doesn’t show any posts you’re good, and if there are one or more posts in it, make sure you check and update them! Keyword cannibalization means you’re eating away your own rankings by creating too many articles for the same or similar keywords. If you have a dozen articles on the same topic, search engines don’t know which one of those they should rank highest. As a result, you’ll be competing with your own articles for a high position in the search engines. Or just delete and redirect them. Check out this detailed guide on content maintenance by Joost de Valk to learn how to go about this. 2.5.1. What is duplicate content? Duplicate content issues arise when search engines encounter multiple URLs with the same or very similar content. As a result, search engines don’t know which of these URLs to rank higher, resulting in lower rankings for all of them. In the previous section, we’ve already addressed keyword cannibalization, which is caused by writing about the same topic too often. But most of the times, the root of duplicate content is technical and can happen without you even noticing. For instance, some content management systems add session IDs or parameters for tracking to URLs. Or, you might have www and non-www versions of a certain page indexed. Accordingly, you’ll have multiple URLs showing the exact same content. Besides the technical reasons, your articles can get scraped or copied by other parties. So, there are many different causes for duplicate content, as you can read in this extensive article on duplicate content. If you want to find out if your site suffers from duplicate content, you can use these duplicate content tools to check your site for issues. Whenever possible, avoid creating duplicate content. If your system creates session IDs in the URL, try to turn that off, for instance. Can’t avoid creating them? 301 redirect those URLs to the original version. Really need to keep a duplicate article? Make sure to add a canonical link to the original version in the <head> section of the duplicate article. It will show search engines what the original version of the article is, so they can pass the link juice on to the original version. In the next section you’ll find out how easy this is with Yoast SEO. If you want to learn how to solve specific duplicate content issues, check out Joost’s ultimate guide on causes and solutions for duplicate content. If you don’t set a canonical, Yoast SEO will set a self-referencing canonical for you. This means that the article will point to itself. Learn why self referencing canonicals are beneficial for SEO. To optimize your site for audiences in several countries or language regions, you’ll need to optimize both your content and your technical setup. Let’s start with the content aspects of international SEO. Doing targeted keyword research and writing fresh content for each audience is crucial. Take items for clothing, for example. An American vest is a completely different garment from a British vest, or a Dutch vest, or a French vest, or a Spanish vest… you get the point. We don’t recommend using automated translations. Invest time and resources in proper research and translations with which to optimize your keywords and copy. Another important aspect of international SEO is picking the right domain structure. Generally, a different ccTLD (e.g. www.yoast.de) for every variation is only a good option for very large companies with big budgets. In most cases, subdirectories (e.g. www.yoast.com/de) are the way to go. Search engines want to display the right language version of your site to each visitor, whatever country they’re from. To help them, you need to implement hreflang. hreflang is code that tells the search engines what language variations of a page are available and helps prevent duplicate content problems. It’s quite a complex piece of code, but our hreflang guide helps you along the way — or, you can take our Multilingual SEO training. A solid site structure helps your users and the search engines navigate your site. On top of that, it will make clear what pages on your website are most important. There are two pillars to a good site structure: organizing your site and contextual internal linking. You should always make sure your homepage is clear and easy to navigate. Cluttering the homepage with too many options will make your site more difficult to understand. Adding a clear menu and breadcrumbs helps your user navigate your site wherever they are. Besides organizing your site, you need to link up your content within your copy. We call this contextual internal linking because these links always appear within the context of a text. Contextual internal links set up a network of pages, which points your users to related content. In a post on keyword research, for example, linking to an article on SEO copywriting makes a lot of sense. For search engines, these links provide insight into how pages are related to each other as well. Always make sure that the number of links to a page reflects the importance of that page. Our ultimate guides get a lot of links from individual posts about related topics. This helps users and search engines understand that these guides are crucial pillars of our site. When adding a contextual internal link, make sure the link makes sense within the context of the current page. Moreover, always use anchor texts which accurately describe the page you’re linking to. This provides users and search engines with the context they need to assess whether the link is useful. 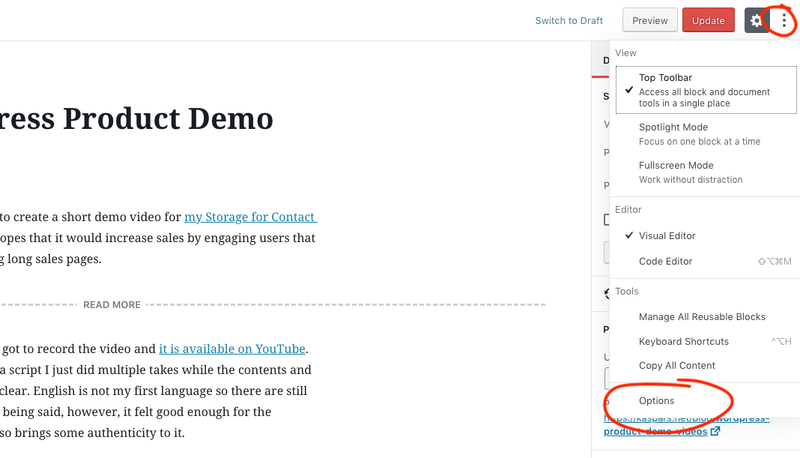 WordPress has two default ways of structuring your content: categories and tags. Categories add hierarchy to your content and group topics broadly. On a website about cooking, pasta could be a category. Tags are non-hierarchical and can be used to describe your post in more detail. Dinner party themes, for example, could be a tag. Tags are useful for users exploring topics, but they are often misapplied. It’s important not to use too many tags, and to use them more than once or twice. Remember, you want to group your content, not just give it a description. If you want to structure your content differently, WordPress also allows you to create custom taxonomies. Always consider carefully whether your custom taxonomy groups content in a way that makes sense and helps your visitors. If you use categories and tags, you will automatically create archive pages. These pages contain a list of the posts and pages within a certain category or tag. Besides categories and tags, there are date-based archive pages and author archives. These archive pages need managing because they cause SEO problems if you don’t. The settings above are the settings for our site. As you can see, we’ve completely disabled the date-based archives, as we don’t use those. Any date-based link will redirect to our homepage because of this setting. We’ve left the author archives untouched, but we have set the subpages of those archives to be noindex, follow by default. This way, you’ll never land on page two of an archive on our site from the search engines. 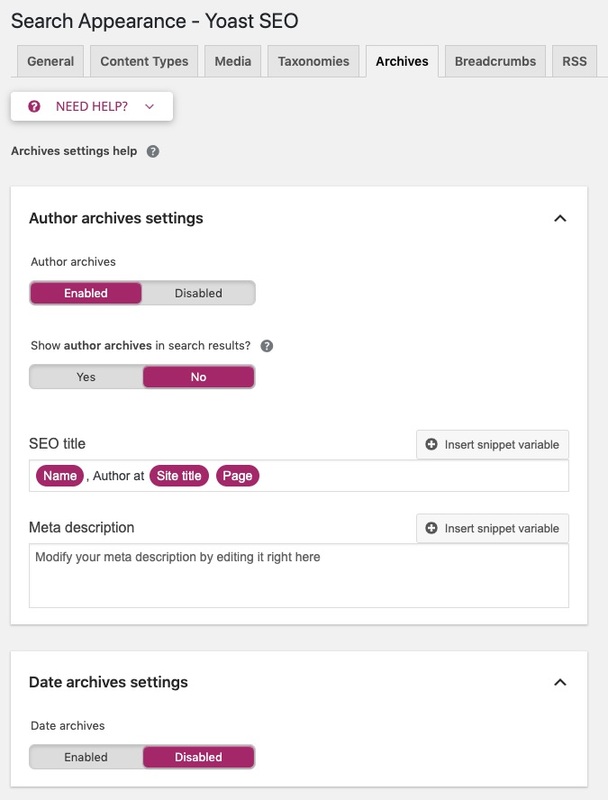 There is one type of archive that is noindex,follow by default in the Yoast SEO plugin: your own internal search function result pages. This is a best practice from Google. If you have lots of posts on your WordPress site, you might want to think about how your pagination looks and works. Otherwise, you might find that your best content is ‘buried’ deep in your site, and users and search engines may struggle to find it. You should check that your theme supports rel=”next” and rel=”prev” for paginated archives. If that sounds a bit complex, don’t worry — the Yoast SEO WordPress plugin takes care of this for you automatically. You should consider customizing how your pagination looks and works so that it’s a bit more helpful for users and search engines. We really recommend checking out the WP-PageNavi plugin! These breadcrumbs should link back to the homepage, and the category the post is in. If the post is in multiple categories it should pick one. To get breadcrumb navigation to show you on your pages, you may need to adapt your single.php and page.php files in your theme, and include the code for breadcrumbs from the Yoast SEO plugin. You find the settings and instructions on how to do that in the SEO → Search Appearance section. You can use XML sitemaps to tell Google and the other search engines that your site has been updated. Our WordPress SEO plugin automatically configures your XML sitemaps, so you don’t have to worry about anything. We generate sitemaps for your different post types, including your images, and make sure that it generates and loads really quickly. We intelligently split your sitemaps up into smaller bits, so Google only has to fetch one new XML “sub”-sitemap when a post is published. You can check and manage which types of your content, archives, and templates should be included in your XML sitemaps in your SEO → Search Appearance settings. Content types which are set to not show in search results will be automatically excluded from your XML sitemaps. Lastly, our XML sitemaps support has a pretty complete API, allowing developers to add or change functionality through their plugins and themes. Our own Local SEO, News SEO and Video SEO extensions (which generate their own, specific sitemaps) are built on this API, and, other plugins frequently build their own solutions on top of our system. For larger or more complex sites, it might make sense to provide an HTML sitemap, too. This is a normal page on your website, which helps users navigate to deeper or more specific content. If your website is slow, you risk frustrating your users. That makes them less likely to engage, browse, convert, or visit again. That, in turn, can make them less likely to share your content, link to your pages, or recommend your brand. In short, speed is an important part of WordPress SEO, and a huge part of the overall user experience. That means that it’s critical to measure and manage your performance — especially for users on mobile or slower connections! Measuring the speed of your site can be confusing. Different tools give different scores and results, and sometimes even give conflicting information. That’s why we’ve put together this helpful guide on how to measure your speed — it’ll walk you through the basics of picking the right metrics, to using the right tools for the job when it comes to monitoring and diagnosing issues. Once you’ve identified what and where your bottlenecks are, the next challenge is to make hosting, theme, plugin and performance tweaks to speed things up. That doesn’t mean that you can’t get started, though. We’ve put together a great guide on some page speed tools and easy wins which you can use to get the ball rolling. WordPress is the most-used platform for website management in the world. It powers 33% of the web (March 2019). While that is awesome, it also means that WordPress is the most targeted platform for hackers. When running a WordPress website, basic security is dealt with by the platform, but there are things you can do yourselves to make your website more secure. That starts with your own login. The default username in WordPress is admin, so change that first. Otherwise, a hacker’s first guess for your username is just too easy. The same goes for your password. Passwords like ‘123456’ and ‘welcome01’ are just not enough. Use a password manager like 1Password or LastPass and pick a 20+ character password instead. WordPress also has a number of plugins for two-factor verification, so adding that to your website is easy as pie as well. Do it. There is more you can do, of course, please read our article detailing WordPress security in a few easy steps. We’ll highlight some of the recommendations below. The next thing we’d like you to do is create regular backups. In case your site gets hacked, or something else goes wrong — for instance, when updating a plugin or theme —, it’s important that you revert that change in a heartbeat. Regular backups make sure that this can be done. In WordPress, there is a wide range of backup options to choose from. Several plugin developers have created nice software solutions for you, so you don’t have the technical hassle of that backup. At Yoast, we recommend and have good experiences with the Blogvault backup solution. That service has additional benefits like creating staging sites and easy migration options. Hardening your setup starts with picking the right hosting company for your WordPress website. That’s just the start, as every host will do its best to help you out, but it’ll still be your responsibility to harden your setup. Also, tools like Cloudflare are good friends for any company/website in this. An easy first step is to limit login attempts. By limiting the amount people can try to login to your website — close your login form after five false logins, for example — you are hardening your install against brute force attacks and other malicious acts targeting that form. The next thing you need to do is to make sure that your WordPress install, including plugins and themes, is always up-to-date. Updates might fix security issues as well. Make sure to check regularly for updates, and keep your WordPress install up-to-date. Another important thing to realize is that you are dealing with security every time you add a new user or writer to your WordPress install. There’s an article in the WordPress Codex regarding Roles and Capabilities you should read. It comes down to giving permissions only to those that need it when they need it and only for the time they need it. No need to give a guest blogger administrative rights to your website, right? Authentication Keys and Salts work in conjunction with each other to protect your cookies and passwords in transit between the browser and web server. Make sure to change these keys when installing a new WordPress instance. 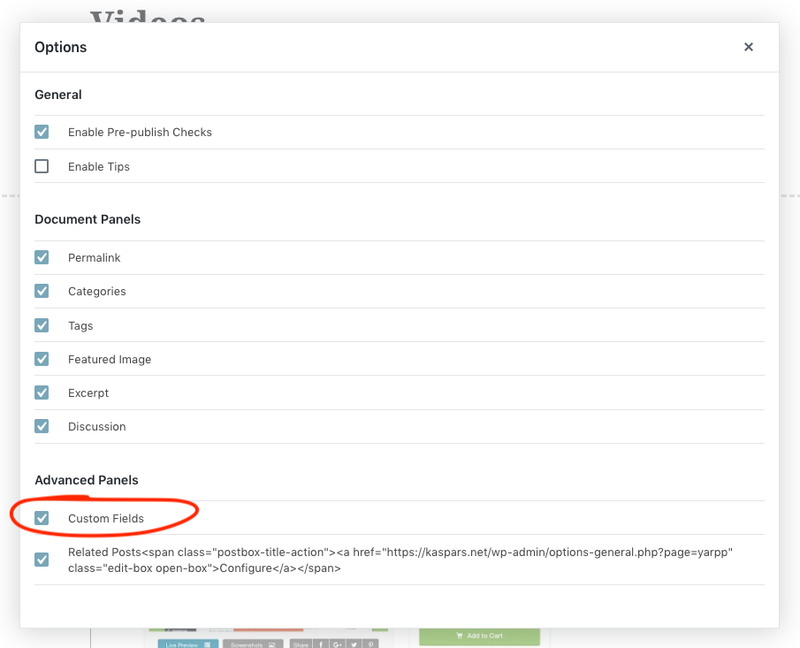 Another easy fix that we’d like to mention is to make sure your template files can’t be edited from the WordPress backend. You can do this in Appearance → Editor. When a hacker managed to get passed your login form, this is really the easiest way to add evil code to your website. Hardening this involves changing your wp-config file. Security is an ongoing process. You need to keep a keen eye on any breaches and keep your website as secure as possible. You could put part of your WordPress security in the hands of, for instance, a company like Sucuri. In case of a hack, they fix this asap. For your own monitoring, you could check your site on a regular basis with their Sitecheck tool. There are a couple of plugins that can help you secure your WordPress site by, for instance, monitor files on your server, like WordFence, iThemes or Sucuri. Pick your plugin of choice, as long as you make sure that security is monitored. It can also be useful to just keep track of everything that’s happening on your website like file changes and logged in users. There are several plugins and tools for that as well, like WP Security Audit Log. Keeping track of these things makes sure that you can find irregularities in your install and act on these, or find what happened when in case of a security issue. People are always on the move these days. From city to city or conference room to conference room. People are waiting in lines, at cinemas, at the bakery, at lunch. And what do we do when we are on the move or waiting? Indeed, we check the weather, read the news, check social media or order clothes in that new online designer shop our friend texted us via Whatsapp, iMessage or Signal. What’s more, our mobile devices are becoming the de facto way of browsing the web, even when we’re at home, lying on our couch. We visit mobile websites. You, as a website owner, need to cater to your mobile visitors. According to Statcounter, mobile market share surpassed desktop market share almost all of 2018. This means that if you are only optimizing for desktop visitors, you are not optimizing for the majority of your visitors. Of course, it depends on your specific niche, since those numbers could be different. Google Analytics can give you the exact numbers for your site. With a mobile market share like this, there is no way you can consider your mobile website an ‘extra’. Maybe it’s time to make mobile the default. It’s time for mobile SEO. After making sure that your site is fast, make sure your website, or rather your theme, is mobile-friendly. Making your website mobile-friendly starts with making sure the links are not too close together, and buttons are easily clickable. Your font should be consistent and shouldn’t be too small and your images not too big, both in file size and dimensions. We’d like to highlight two specific mobile theme optimizations below. Responsive design means that the design of your website adapts to the screen size your visitor is using. You can do this by using specific CSS media queries. We wrote about responsive design way back when, but in the basis, things are still the same. You have to address certain ranges of screen widths and design for those. Most WordPress themes should be responsive by now. Take a step back and look at your website: what do your users want to do here? Define the four to six main tasks your user performs on your website and focus on these. Maybe even give the most important task a big fat call-to-action button. Here’s an example: If you have a local business, the two main tasks might be calling you or finding the directions to your business. That means you could add these as a special mobile menu, for instance, — some kind of bar that is visible all the time. Focus on your visitor’s main tasks and make their life as easy as possible. How to find these top tasks? Ask your visitors! Also, check Google Analytics for the most visited pages on your mobile website. More about Analytics further down this article. If you are using WordPress, you could serve Accelerated Mobile Pages (AMP) as well. AMP is a 2015 initiative by Google and some major publishers. It allows for fast mobile pages and does so by stripping some of the design. AMP these days is used for both static content and dynamic content like news articles. AMP has pretty strict code requirements, so be sure to validate your AMP pages frequently. One of the challenges you as a website owner might have is to make sure the AMP version of your website aligns with your branding. Make sure your visitor — used to visiting your desktop/responsive website — still clearly understands that he or she is visiting your pages. Luckily, the difference between design on all these platforms can be minimalized. If you are looking to kick-start the AMP version of your WordPress website, be sure to check the official AMP plugin. This will add an AMP version of your website after installing the plugin. A good SEO campaign relies not only on implementing changes but also measuring the impact of those changes, seeing what works and doing more of that. Google has developed two amazing tools to analyze the results of your website and to identify new opportunities where you could focus on in the future. The first one, for analyzing results, is Google Analytics. By adding Google Analytics to your website, you make sure all user data will be stored in your own account. You can, for instance, check how many visits your pages get, how many of your visitors convert, how many visitors immediately leave your website after landing on a certain page and much more. Within Google Analytics, you can see how visitors behave on your website. 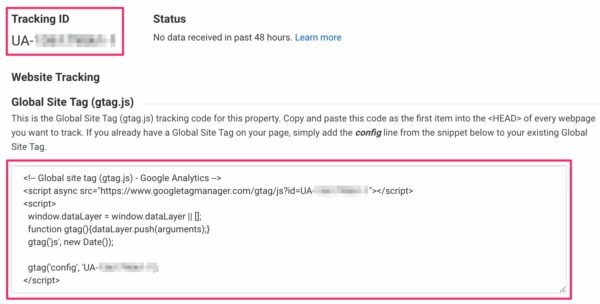 Here’s how to track your SEO with Google Analytics. The second tool is meant to analyze how your website performs and to see how visitors find you in the search engine. That tool is Google Search Console. By exporting and sorting through your search queries and impression data, it’s easy to identify opportunities where you could focus on improving clickthrough rates, content, and/or rankings. To start with Google Analytics, you need to create an account. Click the ‘Start for free’ button to start. To set up your account, you need to add an Account Name first. This could be your company name. However, when you’re about to add other websites to your account, we recommend choosing a more generic Account Name. Also, you can always change your Account Name later when you want to. After setting up your account, it’s time to add a property: the website you want to add. Insert the Website Name and the Website URL. Make sure you add the precise URL: http:// or https:// and with or without www for collecting the right data. After setting up your property you can choose for yourself if you want to enable, some of the data sharing settings. Each data sharing option gives you a clear explanation of what you will be sharing enabling it. This tag needs to be added to your website. The easiest way to do this within WordPress is by installing a Google Analytics plugin such as the MonsterInsights Plugin for WordPress. Installing this plugin, you don’t need to touch the actual code of your website to connect with Google Analytics. You just simply install and activate the plugin, insert your tracking ID and you’re set! For more technical readers, it’s also possible to add the tag manually to the head of every webpage or to add the tag to Google Tag Manager. 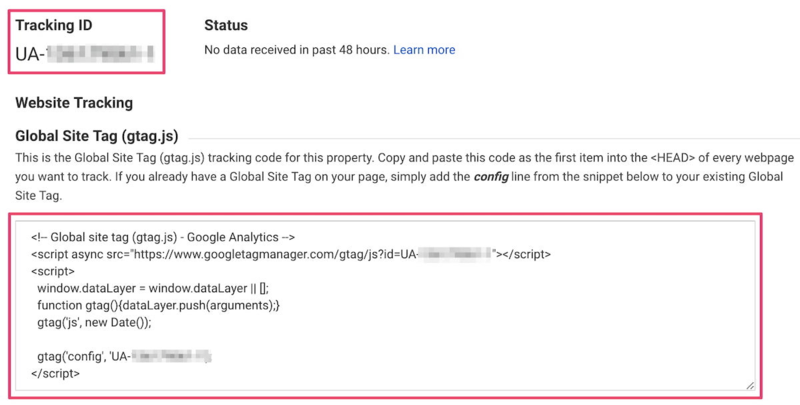 Now your website is connected to Google Analytics, it will start collecting data of your users. Start clicking around to see what all can be found within the data or start reading one of our blog posts about Google Analytics for helpful tips. Create or sign in to your Google Search Console account. Click ‘Add a property’ under the search drop-down. Enter your website URL in the box and click ‘Continue’. Verify your website — within the Yoast SEO plugin, you can easily copy and paste the meta tag to make it work. After connecting your website to Google Search Console, it will start collecting data about the performance of your website. 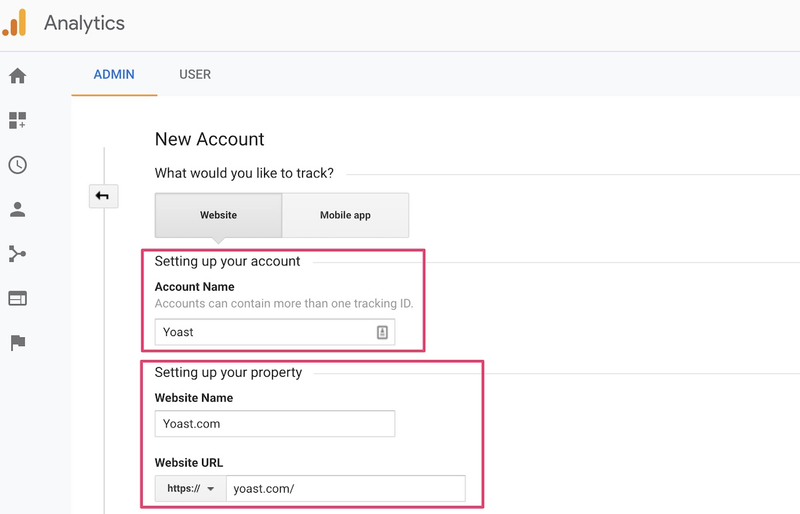 Connecting through Yoast SEO, you can also immediately find errors within the WordPress backend and easily create redirects to reduce the number of errors when you have an Yoast SEO Premium subscription. Of course, there are plenty of other useful tools out there to get valuable insights into your website and to find SEO opportunities. Everyone has their own favorite tools, so it’s important to just start playing with different tools to find out what tool brings you what you need most. There are all-in-one SEO tools which give you a complete overview of your performance and there are more in-depth tools which give you more specific data. Think about site speed tools, duplicate content tools, site analysis tools, keyword research tools and much more. Within the Source/Medium section of Google Analytics, you can see what percentage of your traffic is coming from Bing. When this is a sufficient amount of traffic, you might want to create a Bing Webmaster Tools account as well. Bing Webmaster Tools is the Google Search Console variant for Bing. It shows you your site’s health and performance in the Bing search results. Ryte is one of the all-in-one SEO suites you could use to analyze on-page SEO. The tool crawls your website to give you a bunch of data on indexation, errors, links, speed and much more. You can try Ryte for free to see what it has in it for you. Ryte even integrates with Yoast SEO. Google Lighthouse is a Chrome extension which you can download for free. With the Lighthouse tool, you can easily generate a report with scores for Performance, Progressive Web App, Accessibility, Best Practices, and SEO. This report will give you a quick overview of how your site is doing and you can immediately start working on the areas that need the most attention. You can also use the web-based version on web.dev/measure. To get insights on how your visitors actually move, scroll and click on your webpages, you could use a tool like Hotjar. This user research tool also has options to add polls or surveys to your site to start doing research. You can try it for free, and the paid packages have competitive prices. Interested in more valuable tools? Check our list of favorite SEO tools here! You put a lot of time and effort into the content of your site and making sure that readers can find that content via search engines thanks to SEO, but there are other ways to get people to visit your WordPress site and read your posts. But how do you get and grow such an audience? Simply writing posts and putting these out there won’t do the trick: you need to promote your site! It’s always fun to interact with your readers, but how do you get them to engage? With engagement, we mean all the different ways people can interact with your post. It could be leaving a comment, sharing it on social media or taking action on the topic in general. But how do you get people to engage? You can always ask them! Write in an engaging way, and then ask your readers for their opinion. Then respond to these comments in order to keep the conversation going and build a relationship with your readers. Engagement also benefits SEO, as it shows that your site is alive and active. If you want to dive deeper into blog engagement, you can read our post on how you can increase blog engagement. Using social media is the best way to reach and grow the audience of your blog. You should be active on the social media channels where your (potential) audience is present. Facebook, Instagram, Pinterest, and Twitter are examples of popular social media. It might be a lot to decide on, so you can find out more in our blog post on social media strategy: where to begin? In addition to using social media to promote your blog, it is often a good idea to invest in a digital newsletter. Let people sign up for it and send out emails with your latest blog posts and some other fun facts. Make sure that you offer a subscribe field beneath your posts and on other visible places on your website. Make sure that your newsletter is mobile-friendly. But, most of all, make sure your newsletter is truly something special! We use MailChimp for our newsletter, which is free up until 2,000 subscribers. The number of blog posts published every day is enormous, which is why it’s becoming much harder to stand out. Your articles have a big chance of getting lost in the vast sea of content. To help your content reach its full potential you need to amplify it. If your content is original and well-structured, you’re probably able to reach new audiences. Take a look at how you can reach new audiences, beyond your organic reach. Maybe advertising on Facebook or Instagram might be a good way to reach new audiences for your content? Analyze what channels you already use and decide where you can do more in order to broaden your audience. This guide gives you a lot of stuff you can do on your WordPress site. It goes from technical SEO tips to conversion tips, to content tips, to conversation tips, and a whole lot in between. There’s a catch though: if you want to rank for highly competitive terms, you’ll have to actually do most of it and create great and compelling content in the process. You’re competing with every other website and business on the planet for attention, visitors, and outcomes. That means you have to put in a lot of hard work! But don’t worry — we’re here to help. So if you want to keep updated on the latest news about WordPress, SEO, and our plugins, then you can subscribe to our newsletter and stay one step ahead of the competition! In the meantime, want to reread this ultimate WordPress SEO guide? The post WordPress SEO appeared first on Yoast. If you’re just getting started with testing WordPress, the 5.2 beta is a very approachable release with features that anyone can put through the paces. The easiest way is to install the WordPress Beta Testing plugin and select “bleeding edge nightlies.” Try out the new blocks, experiment with turning blocks and and off. Do the new features seem like they work as advertised? Are there any bumps in the road when trying to use them? You can report any issues to the Alpha/Beta area in the support forums or log a ticket on trac. Developers have a few big items to test as well. Plugin authors can now specify a minimum PHP version that the plugin will support. WordPress is also adding the sodium_compat library, a libsodium-compatible cryptography API for PHP 7.2+. According to the notes from today’s core developer chat, there are currently 116 open tickets that contributors plan to address in three betas. The goal is to slash that number down to 66 before beta 2. WordPress 5.2 is targeted for April 30, 2019. We’re getting ready for another big improvement for our favorite CMS. Today, I’d like to share with you the release of Gutenberg version 5.3 as well as the first Beta for WordPress 5.2. And, some exciting news on the minimum PHP version requirement for WordPress. Gutenberg 5.3 introduces a block management modal which allows you to enable/disable blocks from the block inserter. We also get the possibility to nest different kinds of blocks in a Cover Block container. Allowing for more interesting uses of the Cover Block block. Lastly, there are many improvements to the hover and selected block states, with better a11y and less distraction. But, that’s not all. There’s a lot more added to Gutenberg 5.3 and you can read all about it in the release post. WordPress 5.2 saw its first Beta last week, by the way. So, if you’re developing plugins and themes, now would be a good moment to start testing them against the 5.2 Beta 1. The project team working on this feature have had to completely reimagine the solution. So, it may have taken a lot more time than intended, but we’re ending with a much more robust solution. A solution that’s going to save a LOT of headaches. Bump in minimum PHP version for WordPress! Yay! There have been years of debate about the minimum version for WordPress, but it’s finally happening. The PHP minimum version bump was finally committed – see this Trac ticket for more information. The minimum required PHP version is 5.6. This means we can finally start working towards using modern implementations of PHP, like Namespaces, for WordPress. One of the things that never looked good when setting up a site over at WordPress.com was the default wordpress.com subdomain you would get. It doesn’t really cover the intent whatsoever in my opinion. I also wouldn’t mind their identity being less confusing towards WordPress.org sites. Anyway, I was very happy to see the default URL for a new site changed to subdomain.home.blog. They own the .blog TLD so it makes perfect sense to start using it. I like how WordPress.com is constantly changing and improving the experience. Maybe I was right with this blog post over at WP Realm . The post Minimum PHP version requirement, WP 5.2 Beta 1 and Gutenberg 5.3 appeared first on Yoast. Better Search v2.2.4 – security fix was first posted on March 21, 2019 at 5:11 pm. WordPress has officially ended support for PHP 5.2 – 5.5 and bumped its minimum required PHP version to 5.6. The plan announced last December was to bump the minimum required version in early 2019 and, depending on the results, bump it again to PHP 7 in December 2019. Sites on PHP 5.5 or earlier can still get security updates but will not be able to upgrade to the latest major WordPress version. Today only 2% of WordPress sites remain on PHP 5.2. Roughly 20% are on versions 5.5 or earlier. Nearly half of WordPress installs are on PHP 7.0+. One might wonder why WordPress’ approach isn’t to just bump it all the way up to PHP 7. With its influence and dominant market share, this requirement would inevitably force users to get on board. However, WordPress contributors believe in supporting users who, for whatever reason, need more help upgrading PHP. Steamrolling this requirement has not been the WordPress way, despite years of immense pressure from the developer community. For WordPress 5.0, sites updated their PHP version from PHP <= 5.6 to PHP 7+ at the rate of 1 basis point per day. That is, the percentage of WordPress 5.0 sites using PHP <= 5.6 dropped by 0.01 every day, prior to the release of WordPress 5.1. For WordPress 5.1 (after adding the update notice), that has increased to a steady 5 basis points per day. Doesn’t sounds like much? Every day, that’s hundreds of extra site owners choosing to go through the (frankly, terrifying) process of updating their PHP version. All they needed was a little extra nudge, and a little bit of information. Scary EOL notices and attitudes of “well, we’re just bumping our supported PHP version, too bad if you don’t know what to do next” don’t help. Giving people the information they need to help themselves works. WordPress folks are doing our part to help clean up the ancient PHP installs that are still running a large percentage of the internet, and we’re find that this isn’t an insurmountable problem. It just requires a bit of patience and empathy to solve. WordPress developers around the web sent out celebration tweets after the news was announced. Although PHP 5.6 is the new minimum required version for running WordPress, the project’s technical requirements page recommends users ask their hosts for PHP version 7.3 or greater. PHP 7+ offers massive performance gains for users and developers will be able to update their plugins to use more modern syntax. WPGraphQL has a minimum requirement of PHP 5.6, so it couldn’t even be considered for core until now. Gutenberg 5.3 was released today with basic block management, a feature that will be included in WordPress 5.2. It is a new modal that can be launched from the vertical ellipses menu, inspired by Rich Tabor’s CoBlocks implementation. Users can turn individual blocks on/off or even entire sections, such as Common Blocks, Formatting, and Embeds. Block management should help users avoid the bloat that happens when installing block collections with more blocks than they need. This version’s updates to the Cover Block make it possible to nest other blocks inside of it. Users can now add buttons, paragraphs, and headers to easily create a call to action. It’s not immediately evident that nesting blocks is possible, despite the floating inserter. It takes a little bit of time to discover that it is available. There are still some quirks with this feature, but overall it makes the Cover Block much more useful than previous versions. A few contributors commenting on the Cover Block’s nesting PR said that it seems like the work on this iteration is essentially a light version of a section block. They questioned if it might be better to finish the work on the Section block (#4900) and build from there. Many developers and designers are eagerly awaiting the addition of a Section block to core, which will provide a standard for the plugin and theme industries to build on. Gutenberg 5.3 adds an experimental Legacy Widget Block that allows existing WordPress widgets to be added as Gutenberg blocks. It offers a dropdown of available widgets. After selecting one, the block populates that area with the widget’s settings. This version also improves block outlines for the hover and selected states for a more accessible UI with less distraction. Performance benchmarks show a slight decrease in performance with Gutenberg 5.3. Check out the release post for a full list of enhancements and bug fixes. This is the last plugin release that will be rolled into the upcoming WordPress 5.2 release. At WordCamp Nordic’s contributor day I had the opportunity to chat with Andrey “Rarst” Savchenko about WordPress’ Date/Time component, the code that manages date, time, and timezone functionality. Savchenko is one of the maintainers of this lesser-known component, which includes code that dates back to PHP 4 times. After volunteering for years in the WordPress Stack Exchange forums, he encountered some of the worst Date/Time bugs, eventually spurring him on to get involved improving the code. Date/Time issues affect both developers and users. Savchenko said most of the problems, by volume, are related to an incorrect output of localized time by `date_i18n()`. These things can trickle down to users and affect post scheduling, querying, and other operations. The requirement for backwards compatibility makes progress slow but Savchenko and fellow contributors shipped some of their work in the most recent release of WordPress. They will have more solutions available to pursue when the minimum required PHP version is bumped. “In WordPress 5.1 we had shipped a set of important fixes for documentation and some of the worst bugs in `date_i18n()`. Check out the video below for a quick overview of the work being done on the Date/Time component and find out how you can get involved at the #core-datetime channel in WordPress Slack. Another week, another roundup! We saw WordPress’ growth hit an important milestone last week, and an interesting proposal was made concerning available blocks in the editor. Let’s see what that’s all about! In this edition of my roundup, I also share a few more tricks about the Block Editor itself. And, last but not least, I have a bonus link for you again. Of course I do! Last week, Joost published an article on the WordPress.org site about WordPress now powering ⅓ of the web. Well, technically it’s ⅓ of the top 10 million sites, but still, that’s a staggering amount of WordPress sites out there now. Go check out his post to learn more. If you’d like to find out more about what this proposal is about, go on and read Alex’ post. In a previous roundup, I shared some tips on using Gutenberg. Today I have a few more tips to share on how to best make use of the new Block Editor. The WordPress Block Editor comes with a feature that’s called ‘Reusable block’. This feature allows you to define one specific block or a combination of blocks to be saved and reused anywhere else on the site. When would you use that, you ask? Maybe you want to highlight one of your products on several pages. Or you have certain posts that need some sort of disclaimer at the bottom. Instead of having to write that same paragraph from scratch every single time, you write it once, save it as a reusable block and select it where needed. You can save a block to your reusable blocks by clicking ‘More options’ (the icon with three dots in the bar directly above your block) then ‘Add to reusable blocks’. Once you’ve done that, you can find the reusable block when adding a new block. It’ll be at the end of the list under the tab, ‘Reusable’, with the name you gave it. Now that you know how to create reusable blocks, it’s time we make this a bit more exciting! Did you know you can export your reusable blocks from one site and import them on another? Yes, you can! This is how: to access your blocks, click on the icon with the three dots in the top-right corner. Then, select Manage All Reusable Blocks and you’ll be taken to an admin interface where you can export your blocks into a JSON file. You can import that same JSON file in another site via the same admin interface screen. Isn’t that neat? Line break, but no new paragraph in Gutenberg? Here’s a complaint I hear a lot: “Whatever I do, I can’t add a line break without creating a new block”. Sometimes you just want to go to a new line without creating an entirely new block. Just like I did at the beginning of the previous sentence. It may feel like that’s impossible, but it isn’t. Hitting Shift+Enter creates a line break without a new block. It’s that simple. So, this one is for those of you who develop plugins on Github, but have to jump through all kinds of fancy hoops to have those plugins committed to the WordPress.org repo. Our friends at 10Up have released a wonderful solution that allows you to publish your code on Github and only Github. Their solution makes use of Github’s Action. Once you’ve set up your action and added your WordPress.org credentials, it will actually publish your newly created tag to the WordPress repo. I call that a win! So, if this is for you, go and check out Github Actions for WordPress. The post Gutenberg tips appeared first on Yoast. Add to All v1.4.0 was first posted on March 16, 2019 at 10:29 am. It’s been two years since I’ve built a new WordPress theme. That’s assuming we’re not counting starter themes. It wasn’t until I launched the redesign of this blog that I found my muse once again. I had the beginning of an idea. I had a starting point for building something actually useful. What inspired me the most is that I’d finally figured out the secret to building great themes. I’d known this secret all along, but I didn’t truly understand it. What makes me happy as a blogger, a Web site owner, is when I can simply share what I have to say on a subject. I don’t want the design getting in the way. The design should be about wrangling the content on the front end in a fashion that visitors can dive directly in and find what they’re looking for. 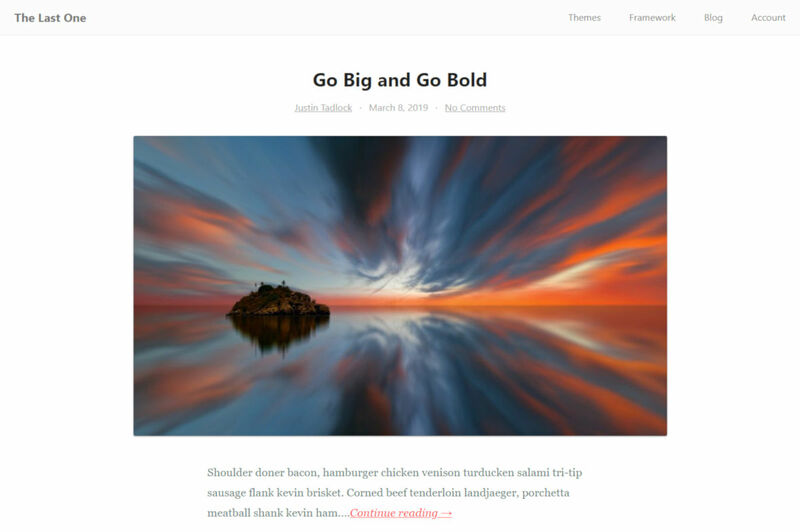 Theme Hybrid, my theme and plugin site, was the most successful when I was able to concentrate on a handful of projects that I was truly passionate about. Over the years, I’ve created dozens of themes and plugins. But, outside of those first couple of years, I’ve spread my talents too thin and have been constantly bouncing from project to project. I’m hyper-focused on building the best damn theme in the WordPress ecosystem. Giving it continual improvements. And making life easier for what I hope is many 1,000s of users to come. Suffice it to say, the OJT is back in town. I’ve named this new theme Exhale because it felt like a huge burden had been lifted from my shoulders as I was building it. I could finally breathe again. I want others to come along this journey with me and have that same feeling. Content: Your content is front and center. No fancy gizmos to distract your visitors. Speed: This theme is much faster than the vast majority of themes you’ll find available. Everything else is about getting out of the way so that the user can say what they have to say. Whether this is via Gutenberg or the Classic editor doesn’t matter (both are supported). Note: I’m working on getting things together like a demo, promotional material, and such. I’m happy to announce that I’ll be launching the official beta release of Exhale on Monday, March 18. I feel so confident in this new theme that I’m giving out an early-bird discount. If you purchase the “Premium Membership” at Theme Hybrid in the next couple of weeks, you can get $10 off using the EXHALEBETA discount code at checkout. You’ll be able to test-drive the beta version next Monday and have a year’s worth of support and updates already taken care of. Planet WordPress is not a weblog. This is a feed aggregator that keeps track of bloggers who contribute to WordPress, mostly by writing plugins. Every few hours are aggregated here their writing about WordPress. For some reason, you're not happy about being aggregated here ? Send me an email and I'll remove you. Powered by WordPress. Maintained by Ozh.